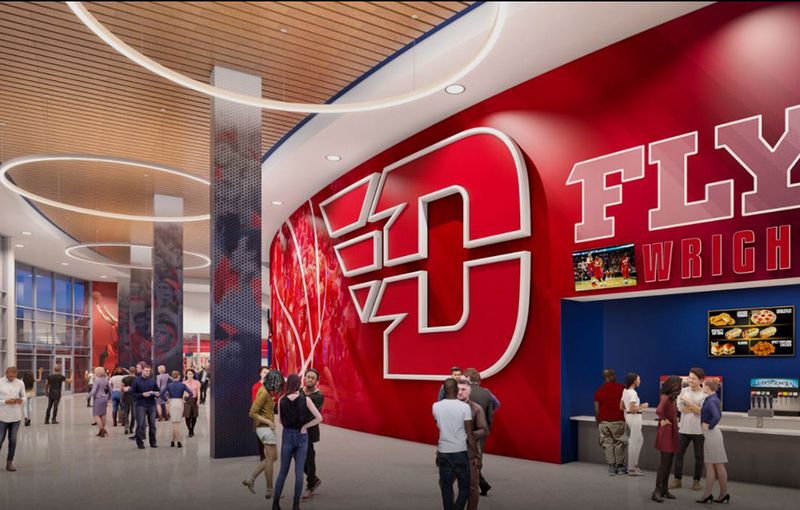 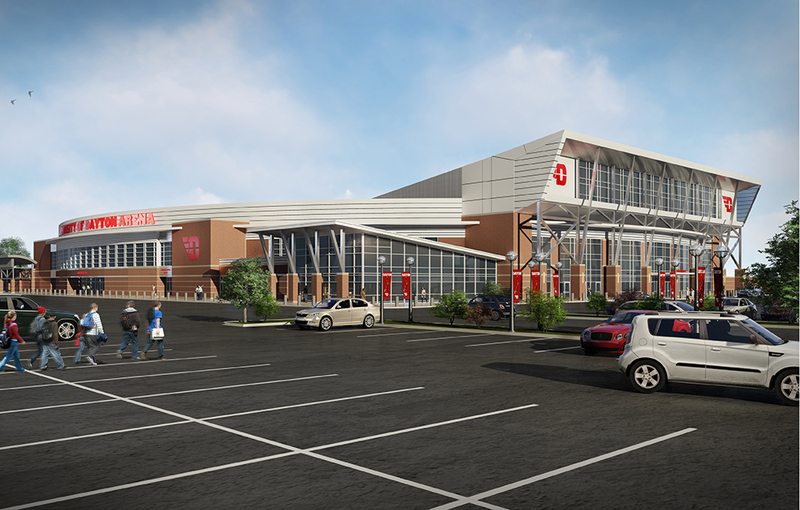 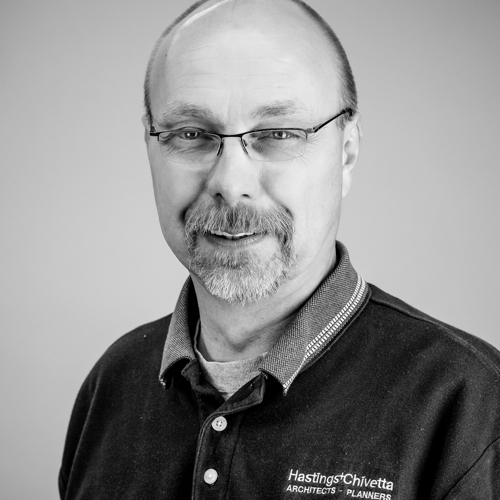 Hastings+Chivetta (Architect of Record) in association with Perkins+Will (Design Architect) are designing the $72 million renovation of the University of Dayton Arena. 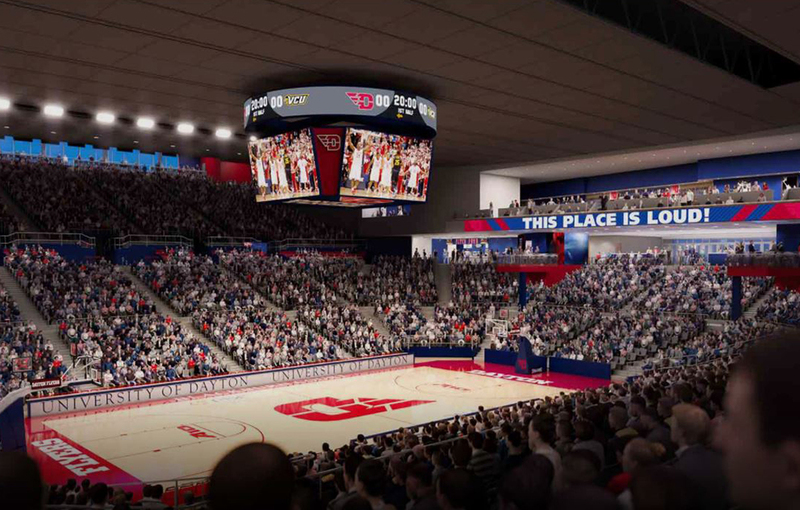 This transformational project will be implemented in three phases and completed in 2019 – in time for the 50th anniversary of the Arena. 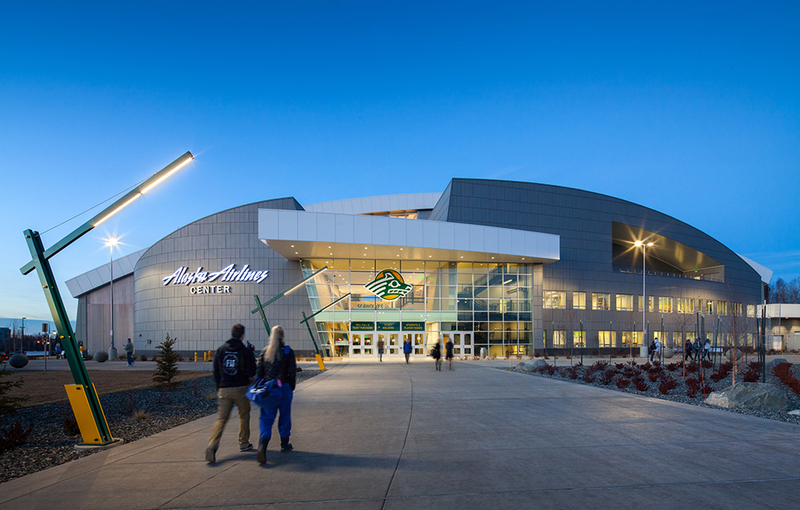 The Arena is an iconic community resource with great economic impact. 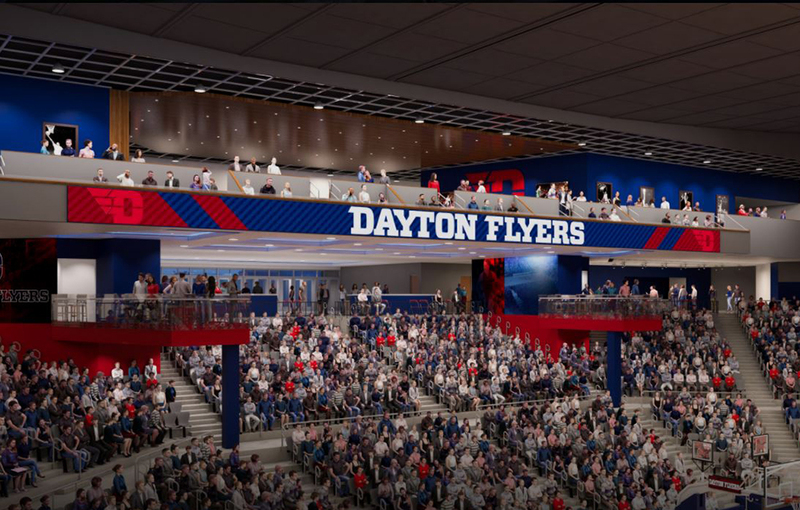 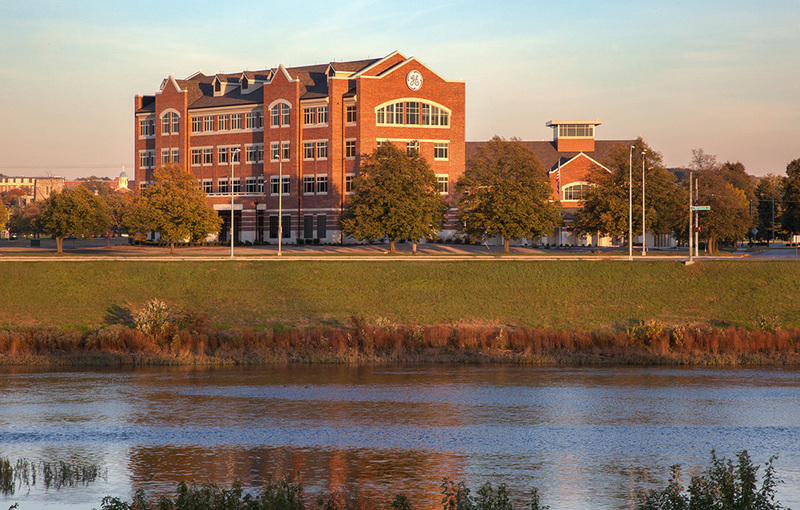 In addition to Flyer men’s and women’s basketball games, high school tournament games and the NCAA First Four, it is used for competitions such as the Winter Guard International World Championships, entertainment events, large-scale educational seminars and as a staging area for community projects. 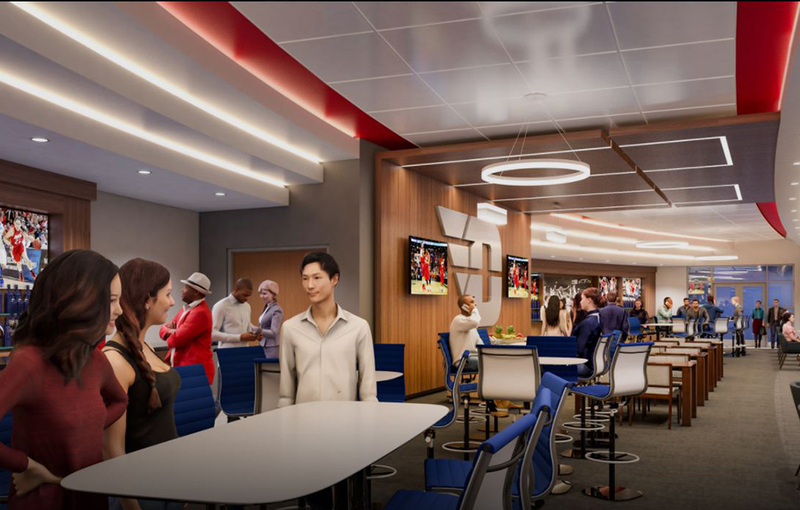 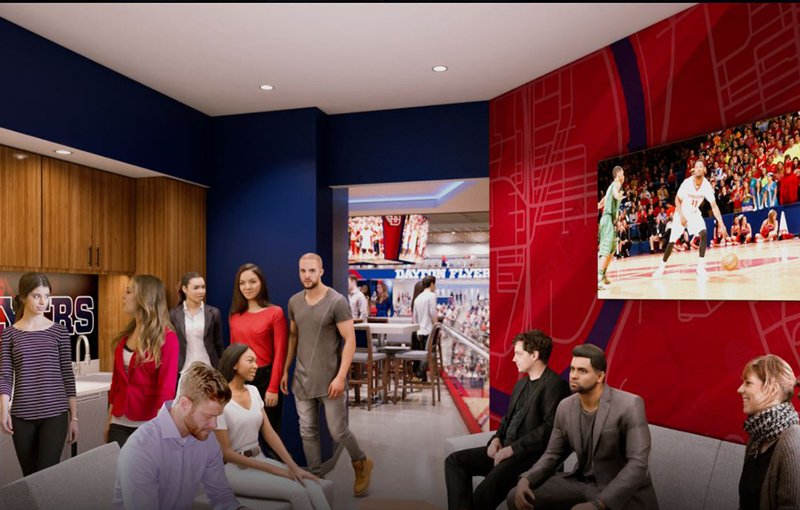 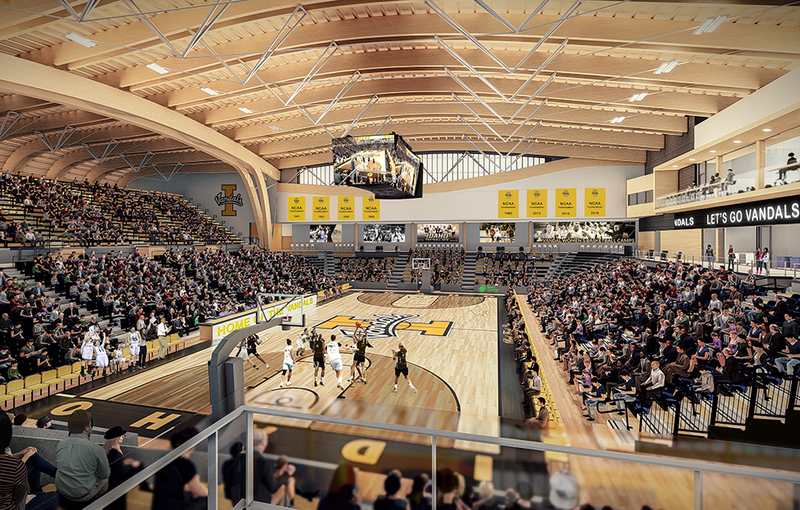 The renovation will greatly enhance the experience of every person that enters – athletes and fans alike – by improving the infrastructure of the building and maintaining the seating capacity while avoiding disruption to the basketball season during construction. 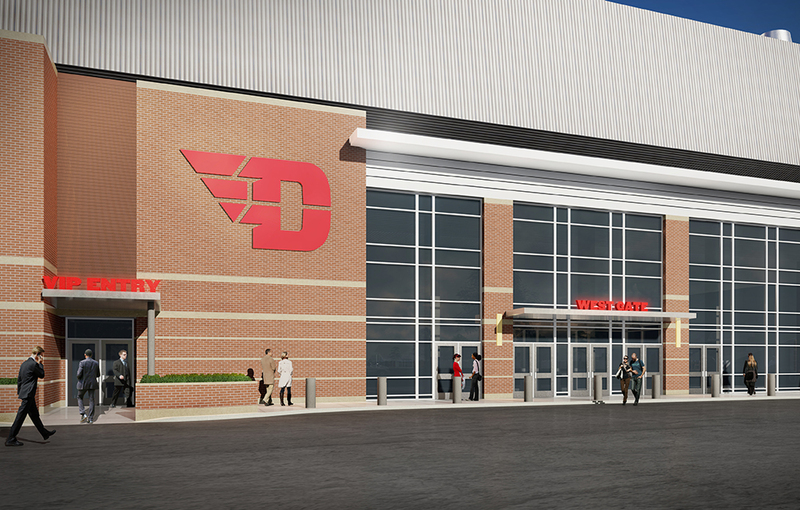 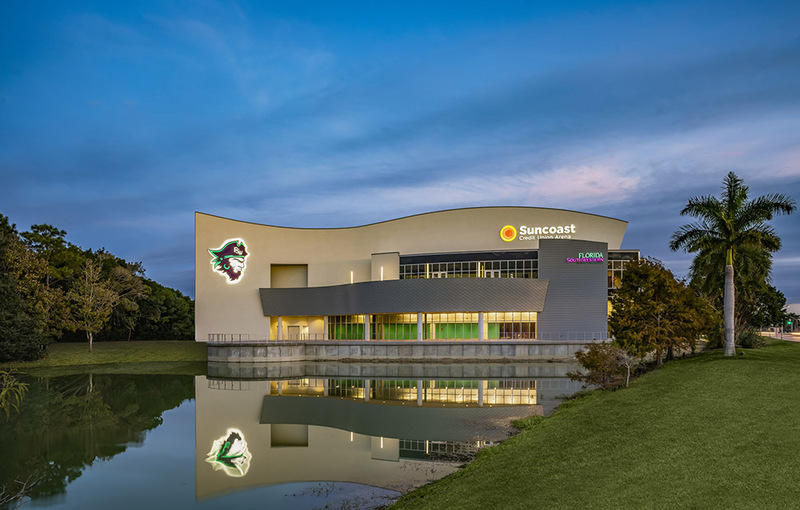 The end result will be a dramatic, state-of-the-art facility that preserves the Flyers tradition and creates one of the best basketball venues in the country.